Editor’s note: This is the second in a series of 14 team previews on NASCAR.com. Next up: Leavine Family Racing on Feb. 3. A list of team previews already published is at the bottom of this story. 2017 standings: Wallace competed in four Monster Energy NASCAR Cup Series races in 2017 (Pocono, Michigan, Daytona, Kentucky); full-time driver Aric Almirola finished 29th. What’s new: Richard Petty Motorsport enters the 2018 Monster Energy NASCAR Cup Series season with Darrell Wallace Jr. at the helm of its one-car operation. It will be Wallace’s inaugural full-time Monster Energy Series campaign after subbing for an injured Almirola in four races during the 2017 season. After fielding Ford entries full time since 2010, RPM has made the switch to Chevrolet, part of a new alliance with Richard Childress Racing. What to watch: In four starts for RPM in 2017, Wallace recorded a best result of 11th and finished no worse than 26th. That’s impressive considering it was his first opportunity to drive in the Monster Energy Series. Look for Bubba to keep building on what he was able to prove last year. Key question(s): The obvious question is how will Bubba do in his first full-time season, but let’s dive deeper: How will Bubba handle the pressure of taking over the iconic No. 43 in his maiden Monster Energy Series voyage? 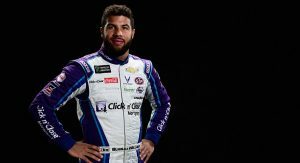 How will he handle the pressure of being the first African-American to drive full time in NASCAR’s premier series in nearly 50 years? Also, how will RPM’s new alliance with RCR improve the Petty organization and shorten the learning curve of the new Chevy Camaro ZL1 simultaneously? Darrell Wallace Jr., No. 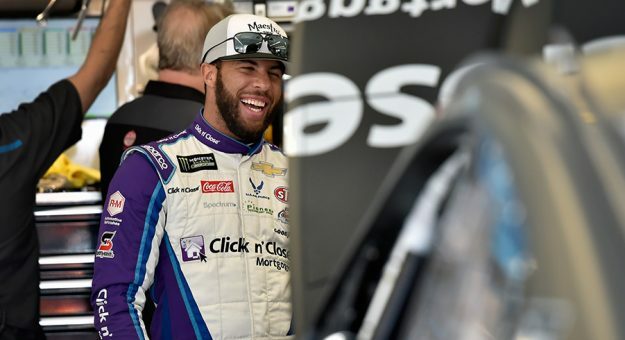 43 Click n’ Close Chevrolet: Beginning at Pocono Raceway in June 2017, Wallace became the substitute driver for the No. 43 entry while Almirola recovered from back injury. In his four appearances in the Monster Energy Series during the summer, Bubba finished 26th, 19th, 15th and 11th, respectively.